WASHINGTON — The U.S. government has reunited 1,442 out of 2,551 migrant children with their parents ahead of a midnight Pacific court-ordered deadline, according to a court filing that captured data as of 6 a.m. Eastern on Thursday. But 711 children have not been reunited with their parents and the government has not committed to a timeline for finding them. The majority of those, some 431 children, have parents who have been deported, according to the court filing and government officials who held a call with reporters Thursday afternoon. “By the court deadline this evening we are on track to reunite all eligible parents within ICE custody,” said Chris Meekins, an official with the Department of Health and Human Services. 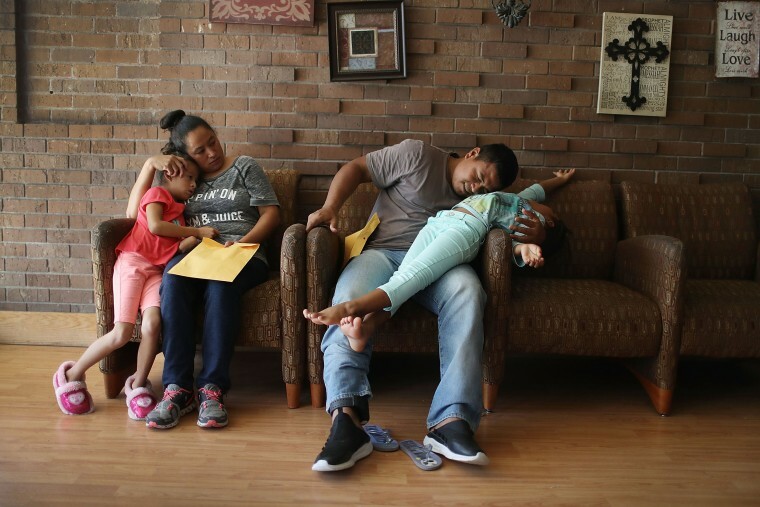 Parents still in Immigration and Customs Enforcement custody have been the easiest to reunite — but for those who are deported or have been released into the United States, the path to reunification is much more difficult. Earlier in the week, the government said it expected to reunify 1,637 parents with their children. Asked on Thursday whether that was still the goal, the officials said “the data is dynamic,” refusing to commit to a number for reunification. Julia Ainsley reported from Washington and Jacob Soboroff reported from New York.